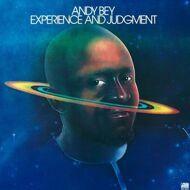 Way ahead of its time and profoundly relevant in these dark days, Andy Bey's masterful Experience And Judgment is music to soothe the soul. From the striking cover art to the music contained within, this is as beautiful a record as you're likely to come across. Against a backdrop of heavenly cosmic soul and spiritual jazz-funk, Bey delivers eternal messages of universal love and peace that still possess great power. Greatly revered by the rare soul and funk community, this album is hugely in demand on vinyl. It has received one - poor quality - repress since its initial 1974 release so Be With Records do us all a favour by presenting a timely and official 180 gram edition.